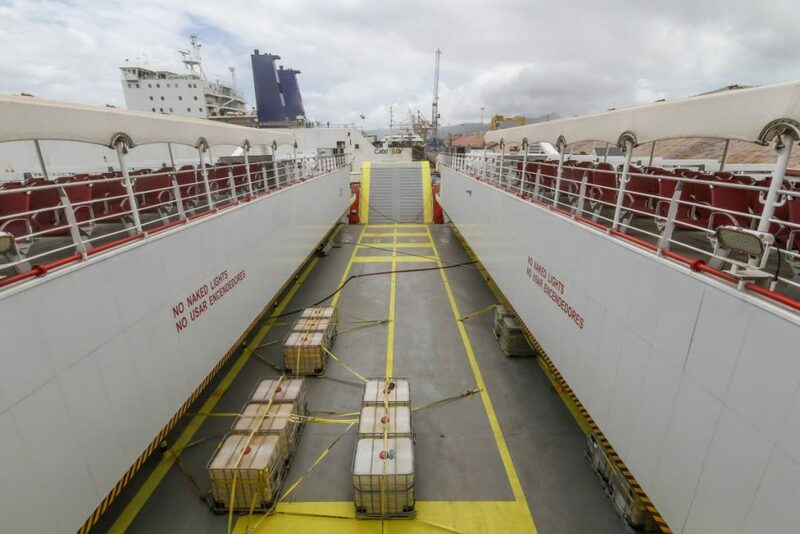 The National Infrastructure Development Company (Nidco) took media on a tour of the Galleons Passage today after it docked in Port of Spain around 11 pm on Monday. The vessel is expected to service the inter-island seabridge in the next two weeks. 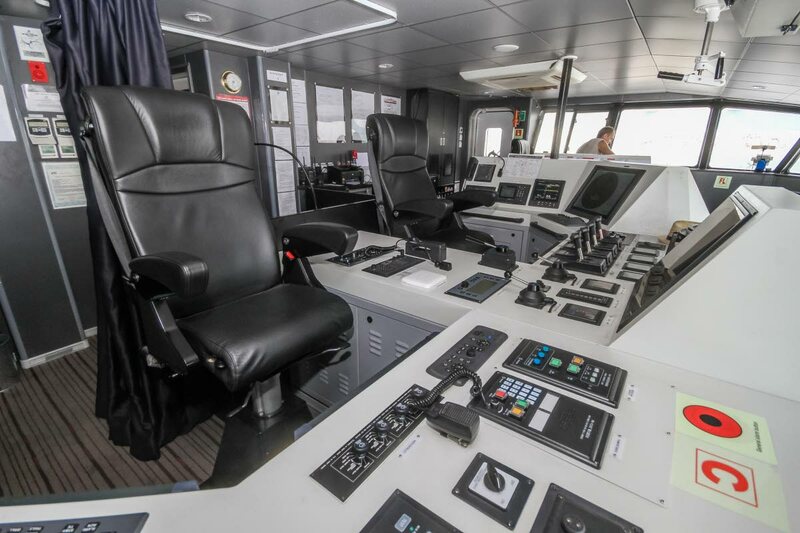 Our photographer Jeff Mayers took the tour and captured these photos of inside TT's new vessel. 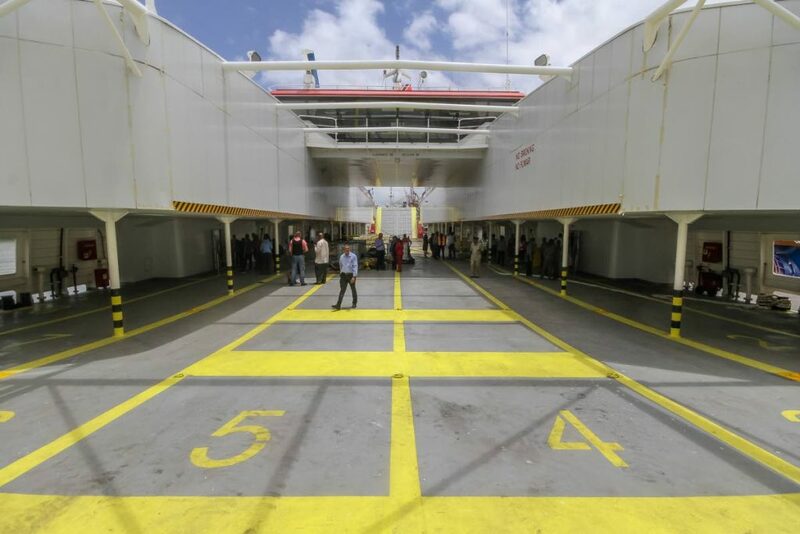 Vehicle Parking area aboard the MV Galleons Passage docked at the Cruise Ship Complex at the Port of Port-of-Spain. The vessel provides parking for 100 vehicles. 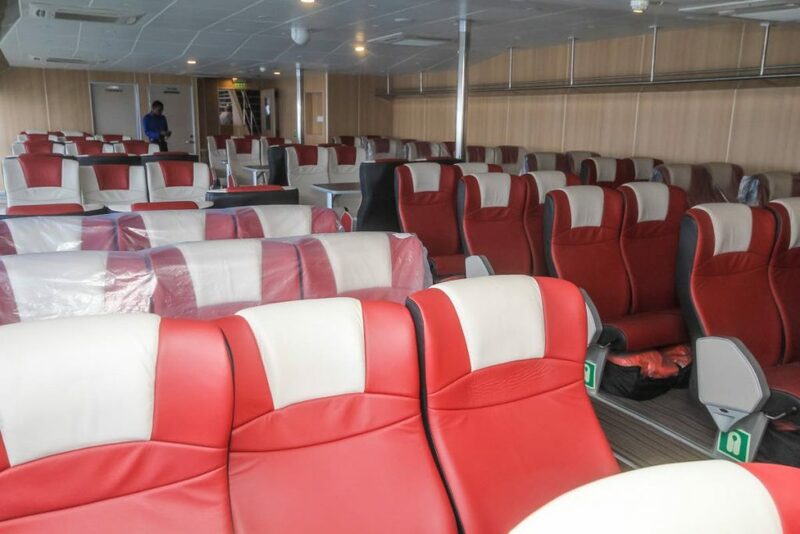 Passenger seating area aboard the MV Galleons Passage docked at the Cruise Ship Complex at the Port of Port-of-Spain. 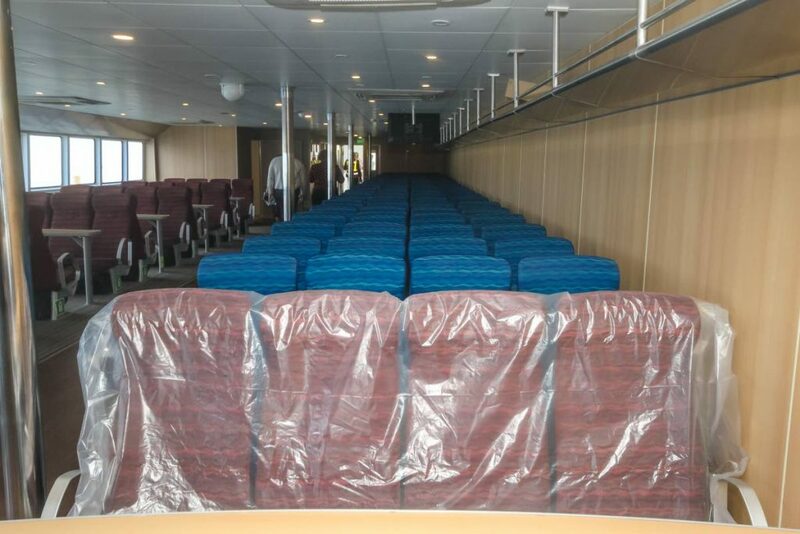 The ferry has space for 600 passengers below deck. 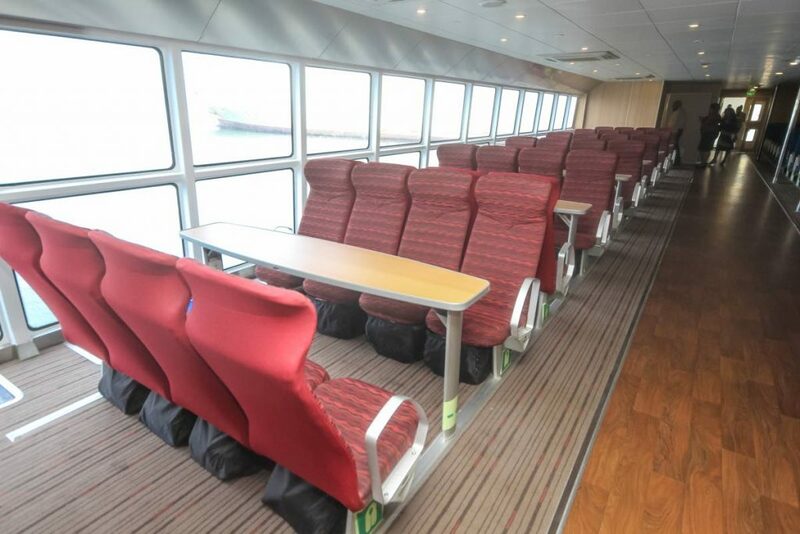 Passenger seating area aboard the MV Galleons Passage docked at the Cruise Ship Complex at the Port of Port-of-Spain. 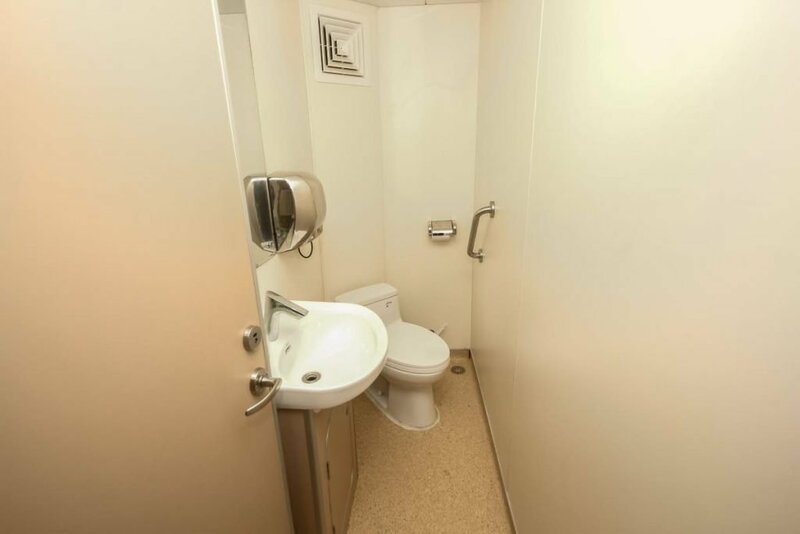 Bathroom aboard the MV Galleons Passage docked at the Cruise Ship Complex at the Port of Port-of-Spain. 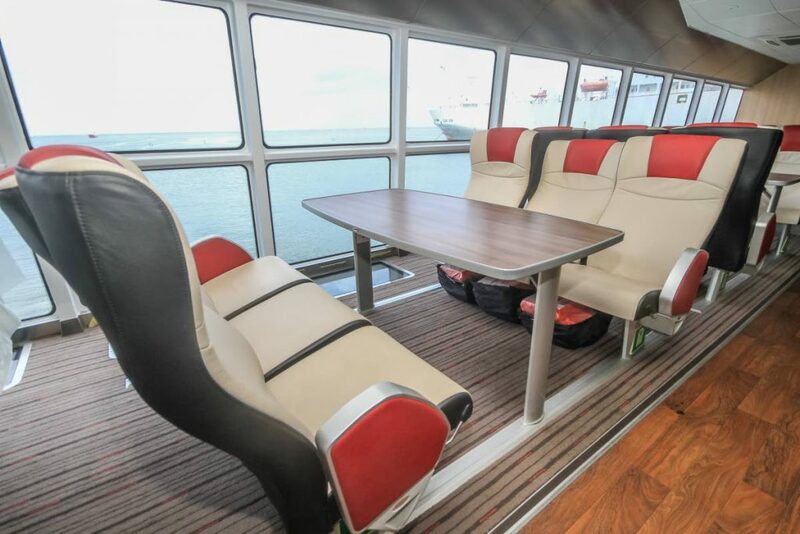 Outside seating area aboard the MV Galleons Passage docked at the Cruise Ship Complex at the Port of Port-of-Spain. 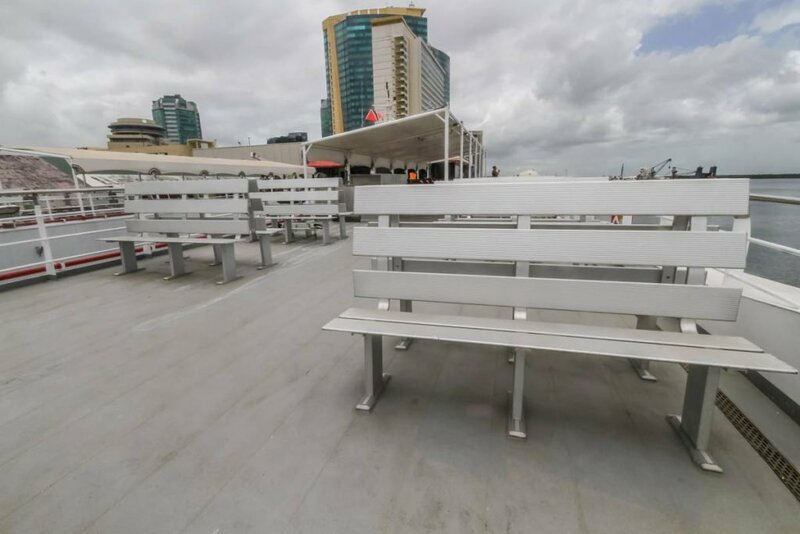 Outside seating area overlooks the vehicle parking area on the MV Galleons Passage docked at the Cruise Ship Complex at the Port of Port-of-Spain. 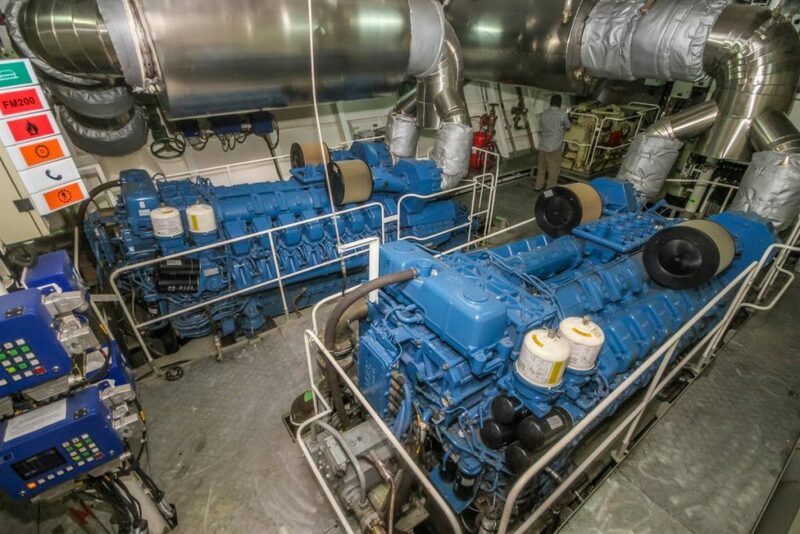 Engine Room aboard the MV Galleons Passage docked at the Cruise Ship Complex at the Port of Port-of-Spain. 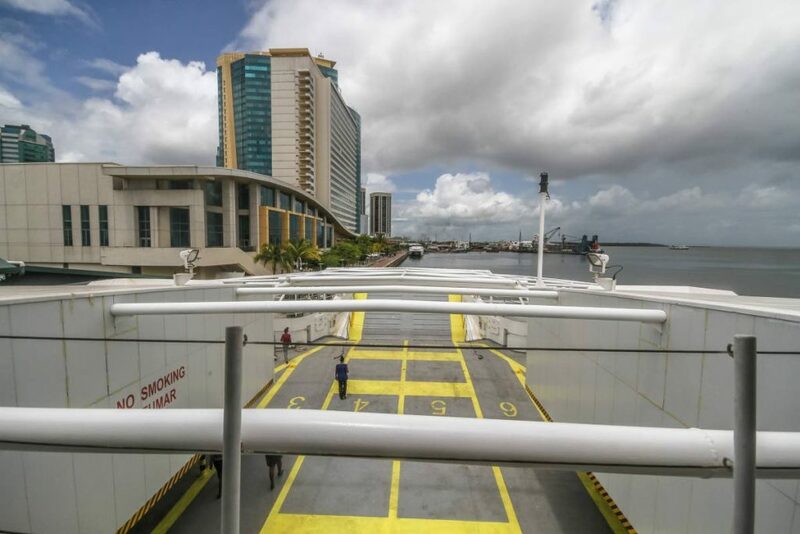 View from the captain's bridge aboard the MV Galleons Passage docked at the Cruise Ship Complex at the Port of Port-of-Spain. 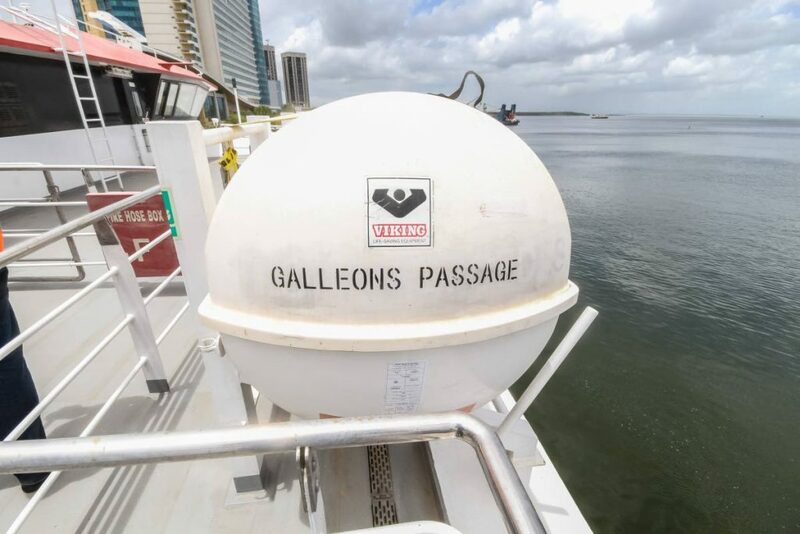 Reply to "Photos: Inside the Galleons Passage"